We don't often look to Hollywood to be inspired anymore. 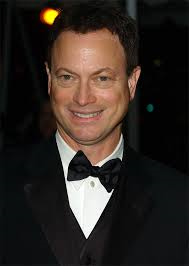 But actor Gary Sinise is a true inspiration. He's traveled to both Iraq and Afghanistan to play for the troops and now he's back in the states holding a concert to raise money to build a smart home for a wounded veteran. Sinise plays bass for the Lt. Dan Band, the aptly named band he formed to raise money for veterans. It has partnered with the Gary Sinise Foundation and the Tunnel to Towers Foundation to contribute to the Building America’s Bravest project. The project builds smart homes for wounded warriors like Cpl. Christian Brown, who lost both of his legs in December 2011 after stepping on an IED. The Lt. Dan Band played in Memphis on Saturday to raise money for Cpl. Brown’s home, which will feature accommodations such as automated doors, wheelchair-accessible spaces, and iPad-controlled electronics.